Look, Mom! 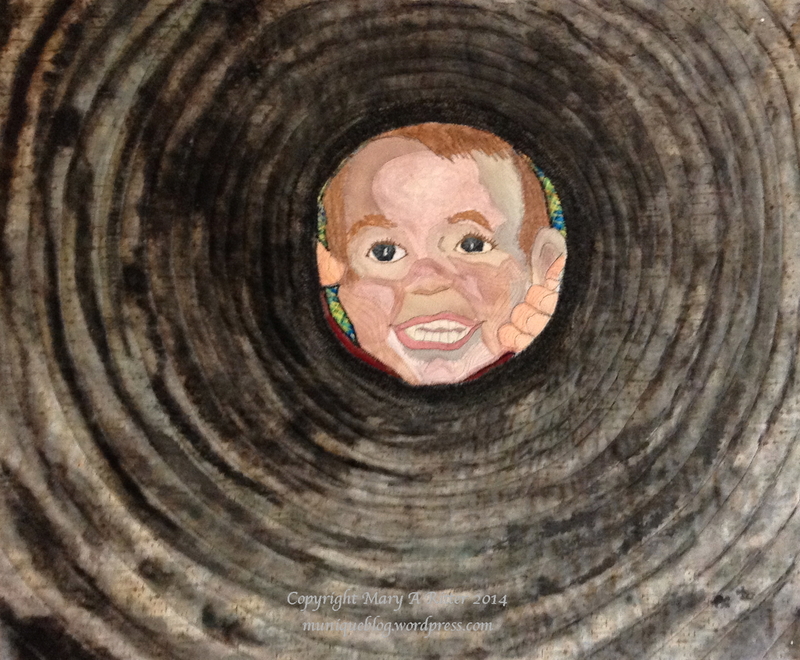 (28”w x 21”h) 2014 A young mother’s quick shot of her son calling her, like he does several dozen times a day, results in a truly whimsical view of his round little face framed by the culvert that runs under their driveway. Painting the circular rings on batik fabric with fabric dyes created the circular shape of the culvert, along with quilting to emphasize the tunnel effect. The face is pieced and then embroidered, and a touch of fabric paint is added for the finish. This piece is inspired by a photograph taken by Kristi Enevoldsen, mother of the little boy, Dalton.